Sir Rod Stewart has released an emotional ballad as the lead single from his first album in three years, 'Blood Red Roses'. The 73-year-old rocker - who has two sons, Alastair, 12, and Aiden, seven, with his wife Lady Penny Lancaster, plus six grown-up children from past relationships - has dropped 'Didn't I', which is written from the perspective of a parent concerned about the damage drugs can do. Though the song isn't said to be about any of his own brood, the former Faces star's son Sean, 37 - whom he has with his former model wife Alana Stewart - has previously battled addiction but came out the other side thanks to his dad's support and stints in rehab. On the track, he belts: "But you thought it was cool, and I was just an old fool ... Now I stand by your bedside watching you fight for your life." The raw song also includes a line about a father advising his daughter "that stuff is going to kill you" as she makes the move to Hollywood. 'Didn't I' is the first taste of the 'Maggie May' hitmaker's 30th studio album, a "deeply personal" 13-track collection containing all new material and three bonus covers. 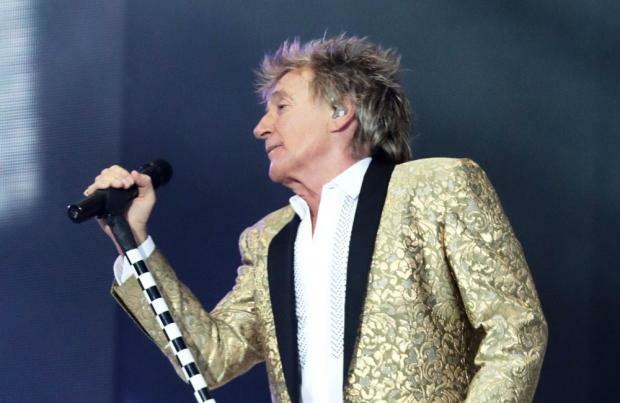 Rod commented: "I always think I make albums for a few friends and this record has that intimacy. "Sincerity and honesty go a long way in life and the same is true in songwriting." The record's release comes nearly 50 years after the musician signed his very first solo recording contract. 'Blood Red Roses' - which follows 2015's critically-acclaimed 'Another Country' - sees Rod team up with his long-term collaborator Kevin Savigar on some of the star's finest acoustic folk songs, pure unadulterated rock'n'roll and Motown-tinged pop numbers. 'Blood Red Roses' is released via Decca Records on September 28.